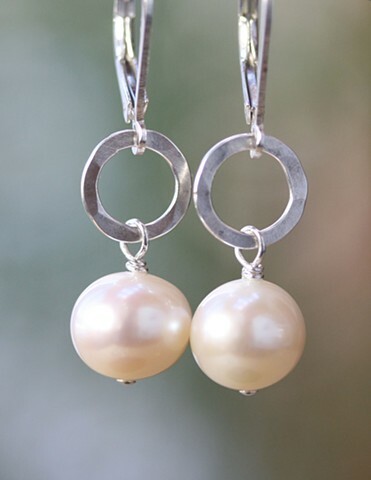 This earring is a classic...fresh water pearls beneath hammered sterling silver circles. Sterling lever back ear wires. Approx 1 1/8"